Cute Polka Dot Coin Purses As Low As $2.10 + FREE Shipping (use for earbuds, charging cables, too)! You are here: Home / Great Deals / Amazon Deals / Cute Polka Dot Coin Purses As Low As $2.10 + FREE Shipping (use for earbuds, charging cables, too)! 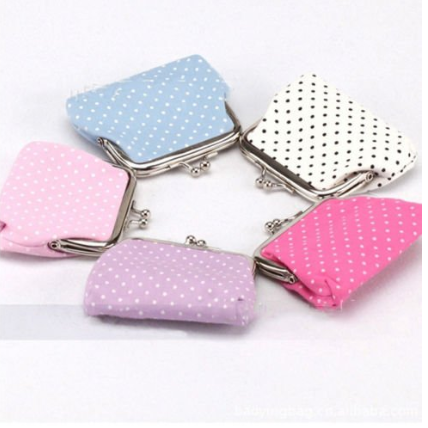 Cute Polka Dot Coin Purses As Low As $2.10 + FREE Shipping! How cute are these?! Grab one of these Polka Dot Coin Purses for As Low As $2.10 + FREE Shipping (use for earbuds, charging cables, too)! At this price you can snag one of each color!